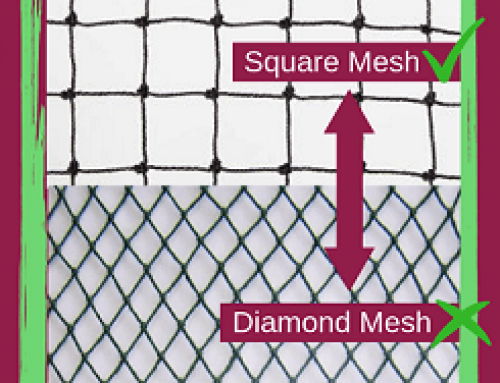 One word to describe Just Grazin Custom Nets® would be versatile! 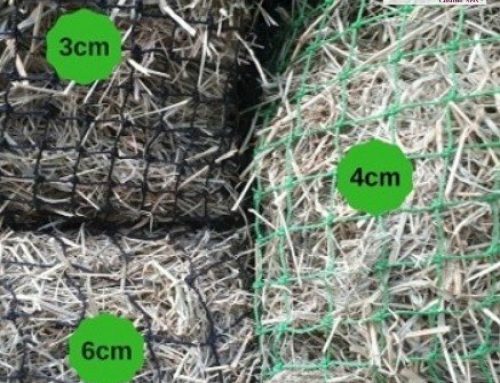 Our store offers a huge range of sizes, both in netting hole size and biscuit/bale sizes. 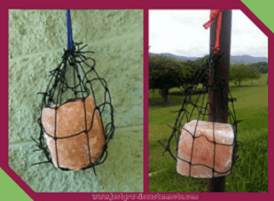 There’s so many ways to use and tie your slow feed hay net. 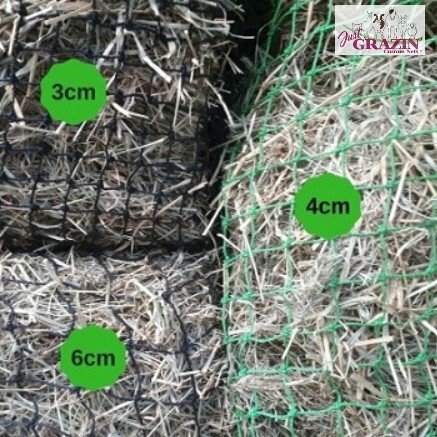 Nets can be fed from ground level, hay high or low to the ground. Most commonly, hay nets are secured to a tree or post or something using the drawstring. 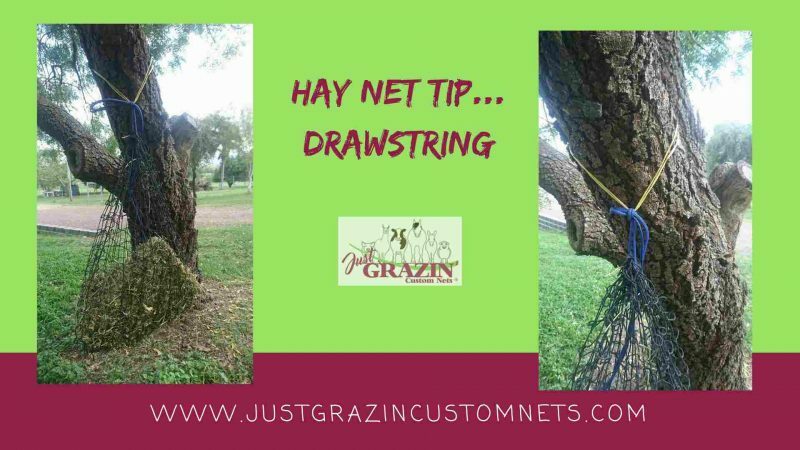 Do you plan to secure your hay net to a large tree? But don’t think the drawstring will reach all the way around? Then be sure to get in touch with us and let us know. We are more than happy to supply you with a custom length drawstring when you order. Email through the measurements you require and we’ll get it done for you! Otherwise, for a quick and simple fix, you can easily use a piece of bailing twine or rope as pictured. Simply secure the twine or rope around the tree/post. Making sure it cannot slip down lower than intended. Then tie the hay net drawstring onto the twine/rope. 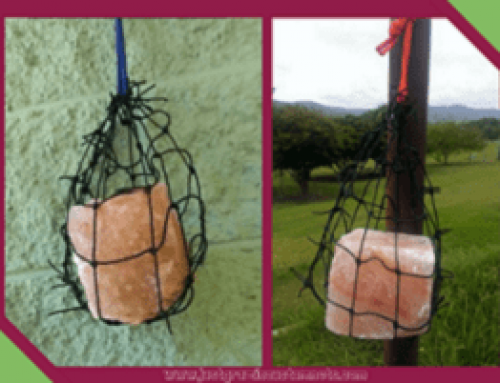 This is a quick easy way to tie and untie your net for easy use. Do you prefer to feed at ground level? Check out our facebook post for tips. 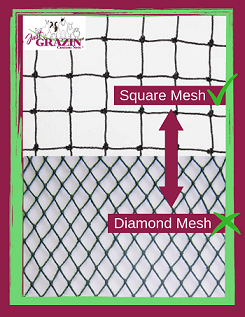 Like and follow our page for regular updates and more tips/info on using your Just Grazin Custom Net®.